This week I’ve been trialling Schema Ninja. This is a WordPress plugin designed to help bloggers write reviews and increase their affiliate marketing income. It claims to improve CTR (click through rates) and includes extra SEO features such as rich snippets. We’ve recently been adding rich snippets to our own website. This turned out to be very time-consuming so I was interested to hear about a plugin that provides online reviews, affiliate marketing and scheme markup at the same time. This is what I learned. Schema Ninja is a WordPress plugin by Jitendra Vaswani. It lets you add SEO-friendly reviews with affiliate links to a WordPress website or blog. It does this by adding custom post types where you create reviews and recommendations. Once you’ve added reviews and recommendations, the plugins offers a choice of eye-catching ways to display these on your WordPress website. At the moment, the plugin is 100% free. I understand that a premium version will be released shortly. Most of the functionality will still be free, but you will have to pay for extra features such as Hello Bar and Popups. (More info on these below). These benefits combine to encourage more people to click through to your website, and improve click through rates to your affiliate links. How is it different from other WordPress review plugins? With Schema Ninja, reviews are displayed very differently from other WordPress affiliate and review plugins. The Font Awesome icons and jQuery-powered display has 3 tabs: Review, Specifications and Summary. These presents all the information about each product at a glance, in a way that is ideal for skim reading. You can see everything all at once, without having to scroll. 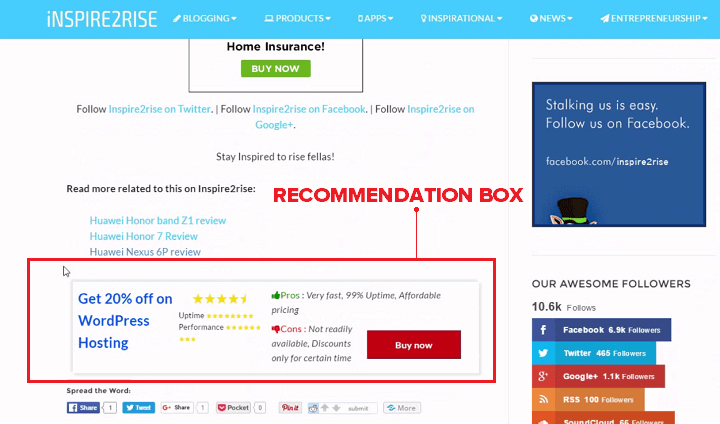 As well as the ability to add reviews, the plugin comes with a Recommendation custom post type. You can add as many recommendations as you like and show either 1 or 2. 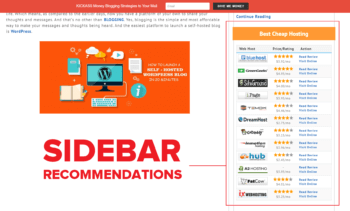 Add a recommendation or set of recommendations to the end of each blog post. Create a ‘top 10 recommendations’ list and embed it anywhere in the post content. Use a recommendation with a limited time promotion in a notification bar (similar to hellobar). Personally, I like this option better than popups. Whenever you recommend a product to your blog readers, it’s a good idea to include a coupon code that will save them money. As well as helping the reader, this helps you to each affiliate commission if you have an affiliate site. The plugin lets you add a coupon to add more value to your reviews. Readers have to click on your affiliate link to reveal the coupon code. How could the plugin be improved? Schema Ninja is a pretty good plugin already. The main downside is that when I first discovered it, it took me a while to figure out what the plugin actually does! 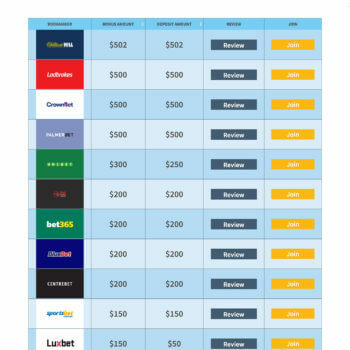 Once I got my head around this, I understood the benefits and how it can help you to build a successful affiliate website with reviews. It would be great if the plugin author could make the sales page clearer, describing what the plugin does as well as the benefits. An obvious link to the plugin demo site would be good too. In the meantime, I hope this post helps you to understand how Schemaninja works and how it can let you add SEO-friendly reviews with affiliate links. In terms of features, I would like to see a feature allowing users to add their own reviews/recommendations. This would add extra credibility to the reviews, further improving CTR and affiliate commissions. User-generated content would also help with SEO. Schema Ninja comes with plenty of options for displaying reviews. 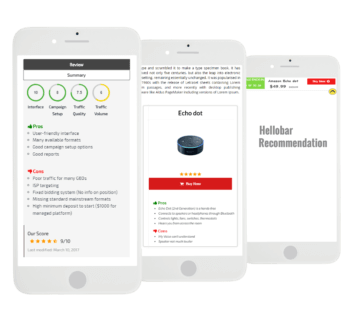 Once you’ve had a play with it, you might find that as well as its built-in layout options, you want to create a table listing ALL your reviews or recommendations. It can be used alongside our Posts Table Pro WordPress plugin to display reviews or recommendations in a searchable, sortable table. This lets you choose which data about your reviews and recommendations are included in the table. 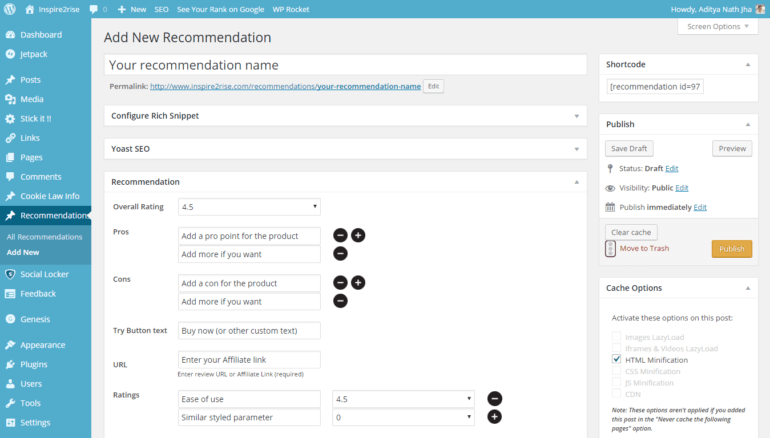 You can add various features such as filter dropdowns to make it easy for readers to find reviews on specific products. Where can I get Schema Ninja? Schema Ninja is available from schemaninja.com. I’d love to hear how you get on with it for your own reviews website with affiliate links. Please let me know in the comments below.